In this week’s ICO whitepaper blog, we take a deeper dive into one industry: the legal profession. This contribution is by one of our staff writers at IwriteICOwhitepapers.com. We now have a staff of 5 writers with experience in technology, finance, marketing, business, ecommerce and law. No matter what type of ICO you are launching, we have an ICO whitepaper writer that understands your industry. On more and more occasions, we hear how blockchain and smart contracts will replace one industry or another. Law is one of those areas. Who doesn’t want to get rid of lawyers? It’s unlikely that we can get rid of all human judgment from the area of, well, judgement, smartcontracts certainly have the potential to replace human-made contracts in specific areas. In this blog, we focus on ICOs that are looking to replace notary publics. 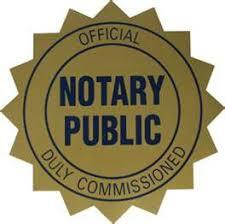 A notary public is a public officer who is legally authorized to verify and authenticate documents. To some degree, you have to wonder what “document verification” will be in the long-term future, when everything is digital. But for the next decade or so, we are going to still deal with non-digital verifications of things such as property rights, government proofs, and cross-border business documents. For those purposes, a smartcontract may be able to replace a human notary. What does it take to be a notary? In this post, we assess the good, the middling and the ugly when it comes to ICOs that claim to provide a replacement for a notary public. In reading these ICO whitepapers, we took into consideration the main issues that need to be addressed for a service to replace a human. Authenticity (consent). The solution would have to be able to verify that the authorized individuals willingly agreed to sign the document. In a physical context, the notary sees the person and can see they are signing without any type of coercion. It’s hard to replicate this on a digital contract. Legal Recognition. Unfortunately, this has nothing to do with the blockchain itself. While there are outliers (such as Vermont) where documents timestamped on the Blockchain are recognised in court, but it is not yet widespread. To be a legitimate replacement for notary public, we would want to see an ICO stating explicitly how they are collaborating with authorities. Proof of Identity. Today’s digital signatures can prove ownership of a hash on the blockchain but they aren’t yet necessarily correlated to a particular individual. The solution would need to correlate the individual with the legal documents that verify that person’s identity. Data Security. Notarised documents often have confidential and / or personal information in them, and any type of legal service needs a high level of trust and security in order for it to be reliable for official verification of a document or identity. With the above in mind, this unsolicited opinion will assess the merits of some of startups that claim that they can replace notary services. Geens proposes a tiered decentralized system of timestamping to allow users to easily sign and verify documents, based on the level of privacy required, including the use of digital and physical notaries. Legal recognition. Although no ICO is necessarily going to change the legal situation, Geens is on less sure footing. However, the whitepaper does refer to Vermont’s move to accept timestamped documents in court and suggests that it is only a matter of time before other jurisdictions do likewise. Proof of identity. To prove identity, Geens offers a service whereby personal identity documents are uploaded to the blockchain and verified by a ‘validator’. Once validated, these documents can be associated with contracts entered into by users as proof of identity. Data security. Greens has provided the strongest answers in this area. Whether it’s truly a concern or not, one of the main concerns that many people still have with blockchain is whether it keeps personal data secure and anonymous. Furthermore, data security regulations are increasingly onerous, with harsh penalties for a failure to comply. With this in mind, Geens claims to be GDPR compliant. To protect personal data, Geens operates a private encrypted ‘zero knowledge’ cloud storage service, meaning that only the data owner has access to the documents. The blockchain records a public timestamp for the documents, without revealing the owner’s identity or the content of their files. In addition, Geens provides most of its services for free (each user gets 1GB of free storage), with operating costs to be covered by offering a business mode for private data management and premium plans for additional storage. Silent Notary intends to offer a service for “confirmation of event existence” through the use of chatbot technology that will allow users to record a video, take a photo or record a voice message for use as legal evidence. It also allows users to upload traditional contractual documents and the certification (or recording) of e-mails and website pages. It provides timestamping services, including the development of technology that will timestamp videos recorded on smartphones with the date and time of recordings, as opposed to the date of upload. Silent Notary is ambitious in its aims and its intended integration with programmes such as Facebook Messenger is a nice touch. However, Silent Notary sees itself more as a service to record events (such as evidence), although the company does state its intention to employ notary publics to provide verification of any documents that will continue to require notarisation in a traditional manner. The whitepaper notes that Silent Notary provides a service where “data about the events that occurred are recorded. The presumption is that is no more need to prove anything, blockchain solves the problem of distrust.” In an ideal world this may be true, but in the legal world it is not the case. Notary services offer proof that the signatories are who they say they are and that the agreement that is being signed is what the signatories say it is. The Silent Notary whitepaper is largely silent on these issues, with little focus given to establishing authenticity and proof of identity. It is not as simple as saying that blockchain solves distrust. Notary services are not solely providing trust, but also internationally recognised authority and legitimacy. Although the whitepaper considers the issue of legal recognition, with plans for the project including research into legal status, it does not offer any insight into how it expects to ensure that its services are legally recognised. A timeline of 2-3 days to do the legal research necessary to ensure its services are legally compliant in various jurisdictions seems overly ambitious. Finally, Silent Notary is silent about data security issues, how data recorded on the blockchain will be recorded and stored, whether personal data will be encrypted and who will have access to it. Keep Network is described as a “privacy primitive for developing smart contracts on public blockchains, enabling secure storage and usage of secrets.” According to the developers of Keep, there are privacy issues when entering smart contracts on public blockchains. The whitepaper explains the perceived flaws arising from hash-reveal patterns, private blockchains and zero-knowledge proofs and offers an alternative product, which is an off-chain container for private data. It is quite possible that the Keep Network will be a very beneficial service, but as a layman reading the whitepaper, I am still lost on what exactly they are trying to achieve. For example, one of the weaknesses that it highlights is that hash-reveal patterns and zero-knowledge proofs have “always-online” requirements, without adequately explaining what these requirements are why they are negatives. The whitepaper fails to adequately explain why the Keep Network is better than, for example, the service offered by Geens. In terms of the four requirements of a notary service, the Keep Network whitepaper says almost nothing. The focus of the whitepaper is on the technical operation, with no real thought given to issues that arise in the storage of data (especially personal data) such as authentication, legal recognition or proof of identity. It highlights the flaws in other systems, but does not adequately address how its own model will operate in practice.